As autumn is the season of warm and creamy desserts, we decided to share our favorite recipe with you. 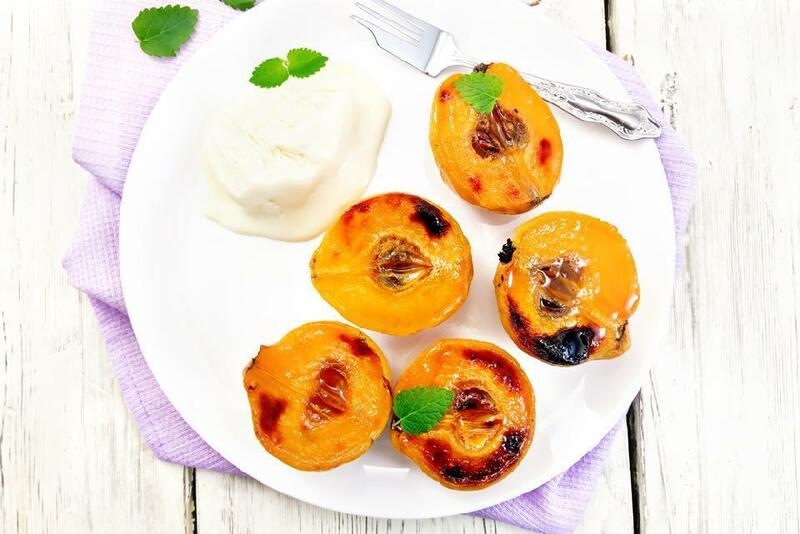 So, in this post, we will learn, how to cook baked quince. Cook the syrup. Place in a saucepan water, sugar, anise stars, cinnamon, vanilla seeds, and dried cranberries. Simmer until sugar dissolves. Cut quinces in a half. Remove seeds, place on a deep baking tray, pour with the syrup, cover with a foil, and bake for one hour. After, remove the foil and bake for one more hour. Serve with walnuts, and vanilla ice cream (or whipped cream).